The Galway Buskers’ Community Present: ‘10 to 10 on the 10th’! The Galway Buskers’ Community announce that they are holding their BIGGEST BUSK EVER – a daylong performance 10 AM to 10 PM on 10 December 2017. They are holding this positive performance in protest at the proposed busking bye-laws that Galway City Council have put forward for public submission. Their aim is to show that there is no need, or public support for these bye-laws. 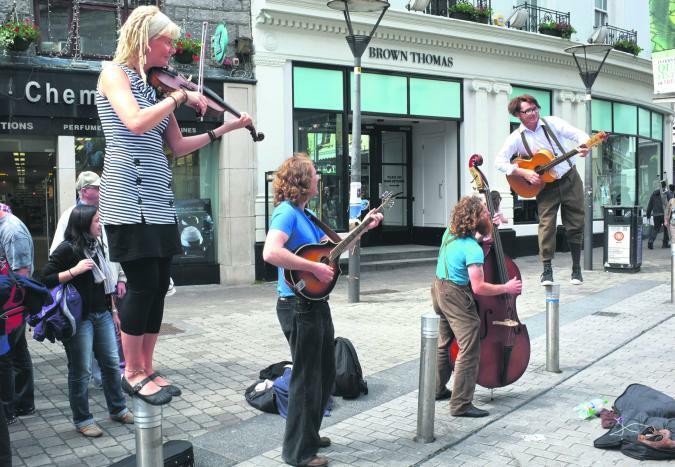 They believe their introduction would negatively impact busking and street-arts in Galway, and thus have a negative effect on Galway’s reputation as an arts and cultural hub of Ireland. Galway is a fun, friendly and wonderful city to live in and visit, and they intend to keep it that way. They are inviting the public, and performers of all sorts, to come and join them for a daylong performance to raise awareness! WHO: The Galway Buskers’ Community, with the help of local and internationally-known artists and entertainers. WHY: To protest the Galway City Council’s proposed anti-busking bye-laws, and to let the people of the city know what the council are trying to do to the city’s busking community, and what can be done do to stop them! WHEN: 10 am to 10 pm, Sunday, December 10 – ALL DAY LONG! Join them as they sing, dance, juggle, paint, sculpt, write, recite, plus magic, and music the whole day long! Help celebrate the amazing street-performance their wonderful city is known for, and don’t let regulation and gentrification take it all away! This is a free, kid-friendly event, all are welcome as always – busking is the most democratic form of entertainment there is!